Well, let's say that ART and AUTOMOBILES have always closely been connected. 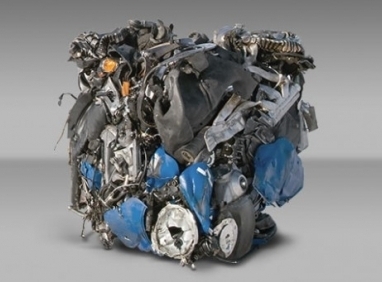 You can find quite a number of Artists that have taken the Automobile as Model for their paintings or sculptures. You even have artists specialised in cars in Comic Strips. - see www.artist-auto.com for more artists. 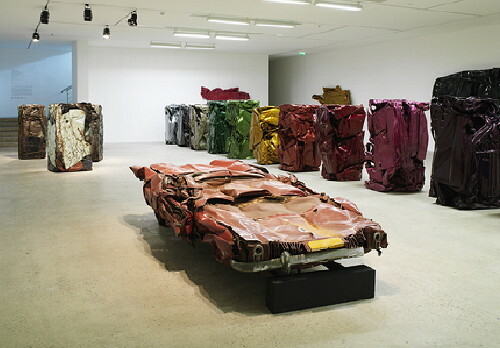 On the other way, some Artists have taken the Automobile as support for their oeuvre. - In 2010, before Buell ceased their Motorcycle production, they offered a limited run of "Crushed Blast Cubes" for sale, numbered and signed by Eric Buell. 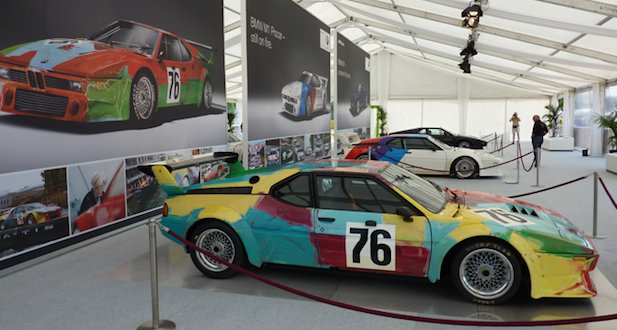 Car Show Rooms are often used to promote Artists. Pictures, paintings and sculptures are used to upgrade the looks of Show Rooms and Garages. 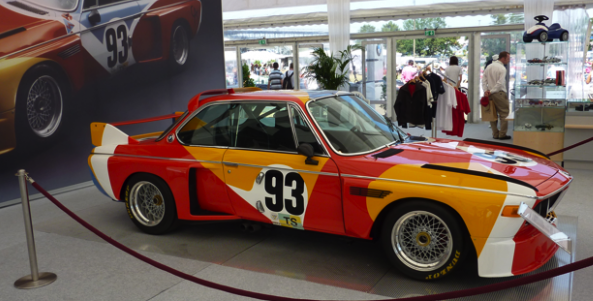 And, are some of our nice Classic Automobiles not really a piece of art? So, if you fancy it, please have a closer look at this part of our website. If you don't like it, well, just go back to the 7RCB or Se7en section and enjoy that part. This part of the website is specially dedicated to Belgian and foreign Painters & Sculptors who belonged to Jo VERBRUGGHEN 's acquaintances. This part of the website is specially dedicated to Belgian and foreign Writers and Poets who belonged to Jo VERBRUGGHEN 's acquaintances..